The comprehensive Canadian version of the CLHMS training course sets the standard for luxury sales training in the industry, and is offered to Royal LePage at a 15% discount. Successful completion of the course includes a 2 year membership in The Institute for Luxury Home Marketing and thousands of dollars worth of member benefits. This multi-media course fulfills all of the educational requirements toward the Certified Luxury Home Marketing Specialist® (CLHMS) designation, the official designation of Royal LePage Carriage Trade. Sales performance requirements must also be met to earn the designation. The course is designed to help successful sales professionals who currently work in the upper-tier move to the next level. Those beginning to target the luxury market will also get ideas to help jump-start their business. From tested scripts and “magic questions” to a cutting-edge marketing “idea blitz,” this course covers what you need to know to be the agent of choice for affluent buyers and sellers. The Institute for Luxury Home Marketing is the source for training, certification, and networking opportunities for real estate agents working in the luxury residential market. As a member of The Institute for Luxury Home Marketing (ILHM), you will increase your visibility and credibility with affluent buyers and sellers and help brand yourself as a luxury expert. Below are just a few of the many benefits members enjoy (subject to change), collectively worth thousands of dollars. For a complete and up-to-date list of all membership benefits, visit the Institute for Luxury Home Marketing. FREE profile in our online Member Directory. Integrated with social media, and designed to link to your website, featured properties, blog, and more, you can drive traffic to your website and generate leads and referrals. FREE “My Market Graphs” software helps you create personalized charts and graphs for your Market Update Reports and Marketing Consultation appointments. Value $50 monthly. FREE standard level account with ProxioPro – the international MLS. Post your listings and your agent profile for luxury agents around the world to see. This also provides a great networking opportunity for you. Value $99 yearly. FREE webinars on important luxury topics. Tune in for the live webinar or download the recording of the webinar on demand. Watch your email for the webinar schedule and topics. Value $29 per webinar. FREE videos to post on your websites with ILHM founder Laurie Moore-Moore explaining why a buyer or seller would want to work with a member of the Institute. FREE downloadable press release templates let you create press releases to send to your centers of influence, the media, and others with whom you network. Access to WealthEngine through Online Wealth Lookup (OWL) – Gain a full snapshot of your clients and prospects, including wealth, spending patterns, lifestyle, business, family, and civic information that will help you best engage with current and future customers. This information will help you speak directly to the needs & desires of your targeted client. A FREE mailing list of 100 precisely targeted prospects using WealthEngine’s Prospect Generator. Plus, many more benefits. Visit the Institute for Luxury Home Marketing for details. Royal LePage is grateful to have five best-of-breed companies join us at our Royal LePage exclusive CLHMS live training event held in Vancouver (July 16-17). Their products and services are ideal for those who work in the luxury market and engage with high-end clientele. From its inception 28 years ago AmeriSpec quickly became North America’s leading home inspection service. The AmeriSpec name is the industry standard for quality, service and value. With over 75 franchise licences from coast to coast, AmeriSpec of Canada conducts more home inspections—and serves more satisfied customers—than anyone else in the country. Our state-of-the-art, hands-on training ensures our inspectors exactly what to look for with every inspection they carry out. And our trademark AmeriSpec Report—gives you the information you need to know about the true condition of any home—and how to maintain it. The BMW Store in Vancouver, B.C. is Canada’s very first BMW retailer, and remains one of the largest volume dealers in the country. It is a member of the BC-based OpenRoad Auto Group, and prides itself on having the best automotive professionals to help you with your car buying and ownership experience. Contact Ron Alexander, Fleet Manager, at (604) 659-3215 or fleet@thebmwstore.ca. BMW Group Canada is also a Royal LePage preferred partner offering the BMW Professional Rewards Purchase Program. Cutco Closing Gifts are designed for wow and have long-term impact while keeping realtors top of mind. We take an outstanding product that is not sold in stores (Forever Guaranteed Cutco Cutlery) and engrave an agent’s logo, name and cell # in a classy way right on the products themselves. Our gifts are used daily in the kitchen where people gather with family and friends. The gift will spark conversation, while being highly valued for its usefulness and quality. A quality gift engraved serves a dual purpose. The agent is remembered forever, and the client receives a thoughtful, practical, and memorable gift. Innovators and leaders in Canada’s home staging industry since 2003, DEKORA is committed to assist clients in maximizing the value of their property and reducing the time their property takes to sell. DEKORA draws on the expertise of their diverse team of talented stylists and professionals to meet the unique needs of each client and every home. They have staged thousands of properties, working with individual homeowners, investors, top realtors, builders and developers. Everyone at DEKORA takes pride in their contributions and brings high standards to every aspect of their work. Their commitment to their work and clients turns home browsers into home buyers and there is no better proof of value than that. iGuide is an immersive property tool that elegantly weaves together floor plans and 360° virtual views to provide users with an enhanced 3D perception of space. Through data efficiently captured on-site using our proprietary camera system, iGuides produces room measurements and floor areas, floor plans, photo galleries plus a number of additional tools including an on-screen tape measure, a custom image capture and brochure creator. 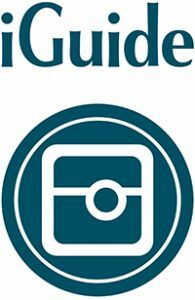 iGuide is a service that will support property professionals and users throughout the complete transaction; from winning the listing to turning over the keys.